Last weekend Francine reported in from her life in England. Here she tells about stopping at Raspberry Tea Room in Llanyrafon Manor in Wales. We ran in between a rain shower and saw lots of yummy things in the pastry case. 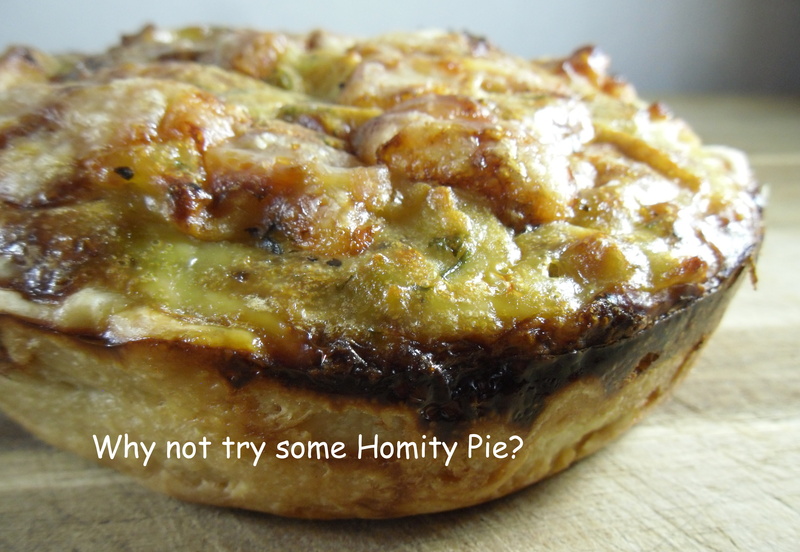 The lady behind the counter said Homity Pie is a favorite of locals. She told us it’s a recipe from the war…the girls who farmed here used to make it with potatoes, spinach and cheese. And it’s made with veg from the kitchen garden. When she got home she did a bit of research and found that the farming girls are called Land Girls and they were part of the WLA or Women’s Land Army. Francine also mentioned the BBC show Land Girls. I have been watching it on Netflix. If you like Downton Abbey, perhaps you will enjoy this show set during WWII. After searching around a bit I settled on a recipe that also had apples in it. Here is the original recipe I used. 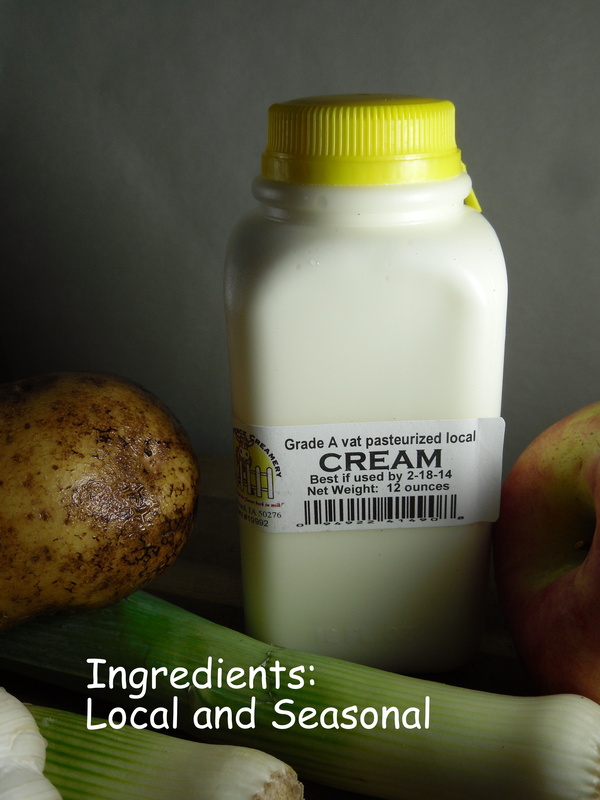 I made some adjustments including making sure I used Picket Fence Creamery cream. The whole idea with this dish is making do with what a person has available locally. Sounds kind of like being a FarmerChef. Dice and sauté the onions and leeks over a gentle heat in the vegetable oil, until they’re soft. Add diced apple pieces and mix in. Cut slices of swiss cheese into small pieces. Add the garlic, followed by the potatoes, parsley and thyme, the eggs, half the cheese and cream. Season with salt and pepper and combine the mixture well together. 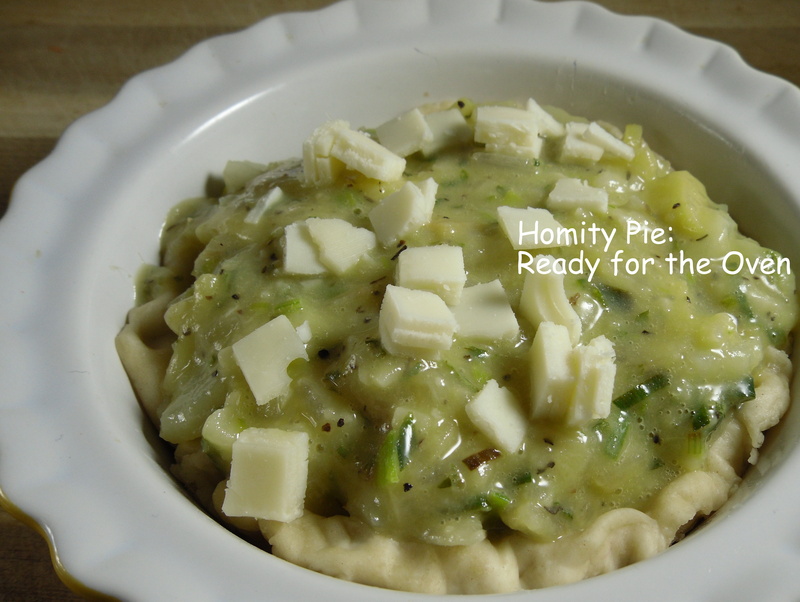 Fill the pies and cover them with the remaining cheese. Mix together and press into greased pie or tart pans. Place in refrigerator while preparing the pie filling.